The All Progressives Congress (APC) in Rivers, in a rescheduled state congress on Monday in Port Harcourt, elected a 36-member executive through voice vote. The News Agency of Nigeria (NAN) reports that Mr Ojukaye Flag-Amachree and Chief Emeka Beke, were elected Chairman and Secretary respectively by the delegates at the Elekahia Community Hall. Mr James Maigid, Chairman of the APC State Congress Committee for Rivers, returned the Flag-Amachree and 35 others as winners, after a voice vote for the each contestant. Maigid commended the delegates for their peaceful disposition and adherence to instructions during the congress. Mr Alex Onwadiawu, the Secretary of the committee earlier said that the stakeholders of the party in the state had agreed that the election would be by affirmation. The new chairman, who thanked the delegates for giving him the opportunity to serve, lauded the APC leader in Rivers, Mr Chibuike Amaechi, Minister of Transportation, for supporting him to emerge. Flag-Amachree assured the party members that he would work with all the stakeholders to ensure that APC secured victory in 2019. Earlier, the out-gone chairman, Chief Davies Ikanya, had thanked members of the party for supporting him in the past four years. Ikanya called on the party members to give more support to the new executive to move APC forward in the state. “Everything that has a beginning must have an end; the existence of the state party executive led by me has come to an end. “I thank you for the support you gave me and urge you to give more support to the new executive members that will be elected any moment from now,” he said. 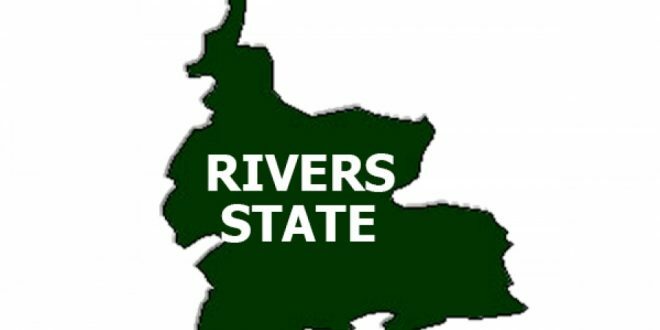 Dr Chidi Lloyd, former leader of the Rivers Assembly, moved the motion for the dissolution of the Ikanya-led executive at exactly 6:34 a.m.